Looking for graphic designer? If yes, you are at the right place. Alliance recruitment agency provides graphic designers who are well-versed in latest graphics technology and have years of dense experience. If you want to hire freelance graphic designers, then we have hordes of experienced graphic designers who deliver their services in the most professional way. Our recruiters have been hiring graphic designers across the industry verticals for decades. You may find graphic designers who may promise to provide you with logo designs at a reasonable cost but their work may not be satisfactory. But we can bet that the designers provided by Alliance Recruitment Agency have the knack for designing and are sure to provide you with some of the most mesmerizing designs. They know the importance of a logo in building the brand value of your business. Only after deeply studying the core values and the ethics of your business, will they provide designs for you to choose from. We have tried and tested freelance graphic designers who have great positive feedbacks which can help you greatly in your decision. In this modern landscape having an impressive digital image is quite mandatory. It is expected from a well-established organization to have their good digital imprints. Not only shark tank organizations, but also fledgling businesses are expected to have good websites with dynamic graphics. In order to leave a mark on your webpage visitors, it is necessary to have a strategically designed website. Graphic designers provided by Alliance Recruitment Agency have been assisting with website development team and they have developed some of the encapsulating websites. Apart from digital marketing, traditional means of marketing is also an important constituent of marketing strategy. A well-informed pamphlet can do wonders amongst the target audience. Our team of recruiters has the database of pamphlet graphic designers who have already carved their niche in the designing industry. You can choose from a number of designs developed by the designer as per your requirement. We also provide freelance pamphlet Graphic designers who provide his/her services for a particular project, so there is no need for you to spend fortunes on the regular salary. Banners are the perfect way to catch the attention of passersby but the only thing that has to be kept in mind while designing the banners is the perfect combination of graphics, color scheme, and the content. Get graphic designers for banners from Alliance Recruitment Agency as we have a number of graphic designers in banner designing with years of relevant experience. We also provide freelance banner graphic designers for specific projects. Graphic designing for product packaging can be a tedious task as it involves various dimensions to be considered. Not all graphic designers are well-versed in product packaging graphic designing. Recruiters at Alliance recruitment Agency have sorted designers as per their skill set. So when we come to know about your requirement for product packaging graphic designers, we just take a few moments to provide you the exact hire with apt skill. Alliance Recruitment Agency has been into recruitment field for decades which is the reason we have developed a strong network of contacts of skilled hires. 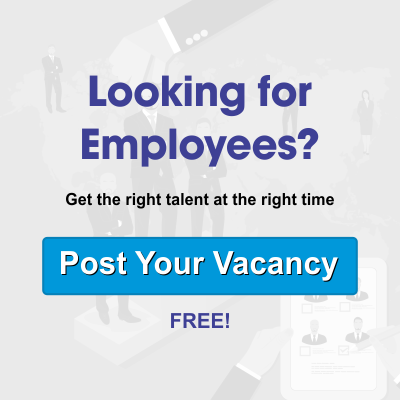 For years, our recruiters have sieved out some of the best graphic designers who provide their services on contractual, freelance, part-time or full-time basis. Just let us know your requirement and be rest assured that you will get a talented and experienced graphic designer at a reasonable cost.